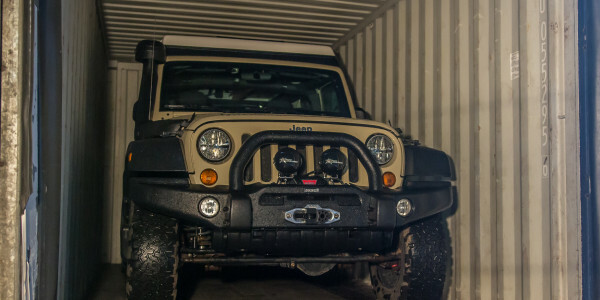 You are here :Home Jeep Adventure Around Africa in a Jeep Dan’s on his way! 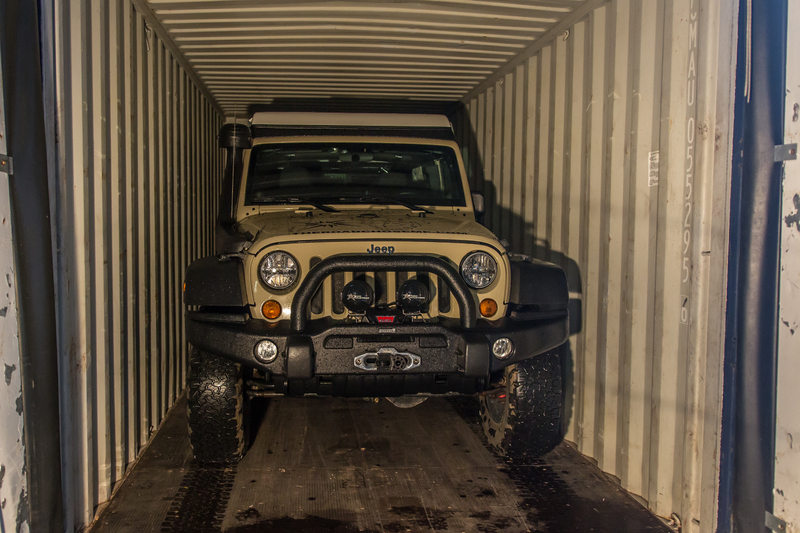 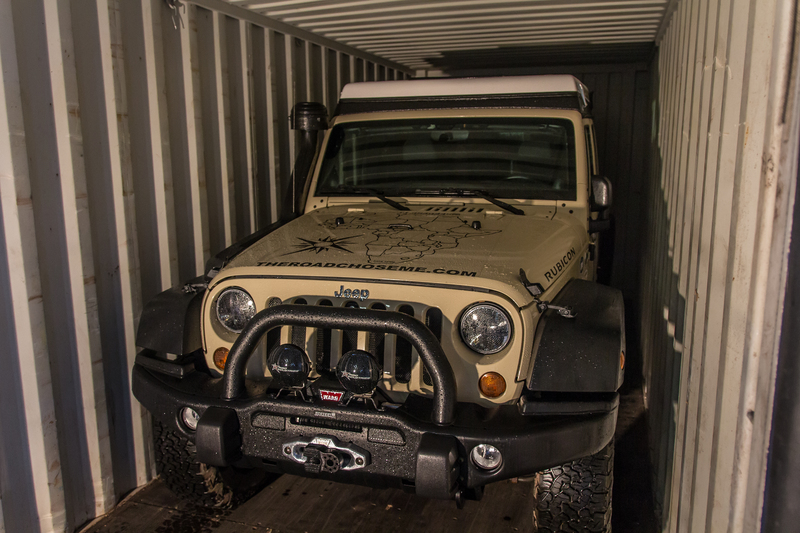 After adding some last-minute illumination upgrades from Rigid Industries and Truck-Lite, Dan’s loaded his Jeep into a container for shipping to Europe! He’s catching a flight tonight to head east to be there when the JKU lands and then he’s making best possible speed to Africa to start the 80,000-mile, two-year trek! 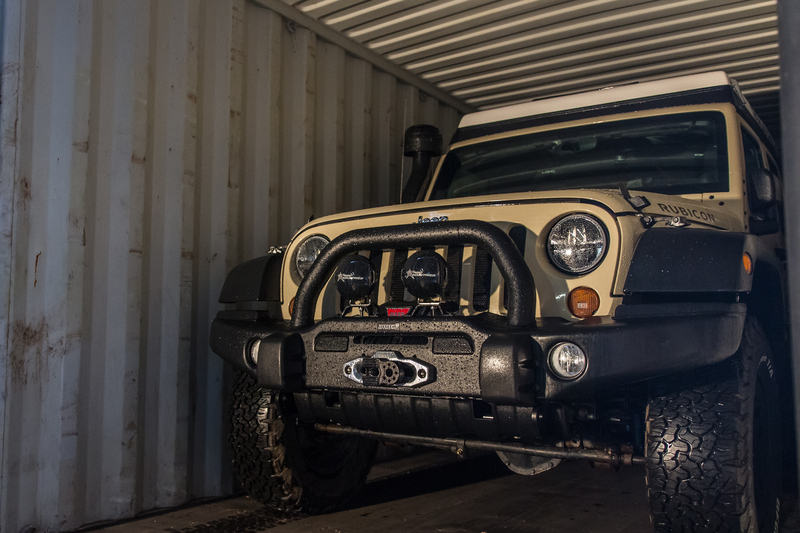 It’s been great being a part of the build, getting to Dan, spending time with him at EJS 2016 and back at JPFreek HQ, helping to install the final upgrades on the fully camperized JKU, but THIS is what we’ve been waiting for! 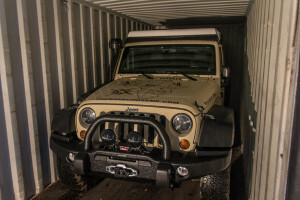 Best of luck to Dan as he embarks on this epic journey!